Winter brides, listen up! Untamed Petals on Etsy is the perfect shop to pick up that little extra accent for your big day. 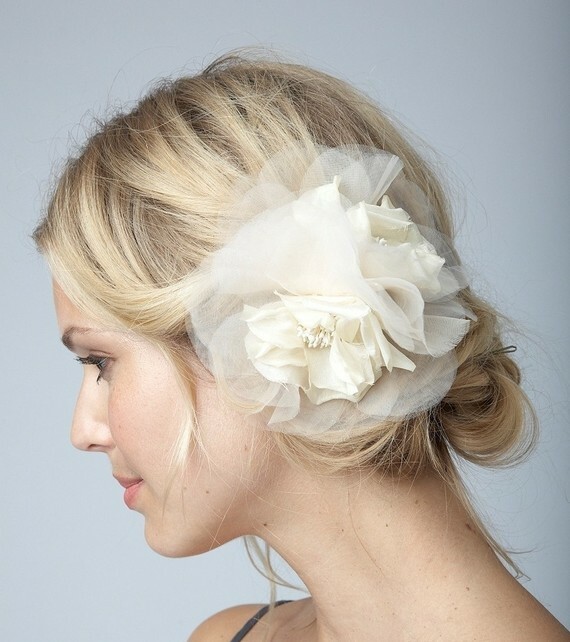 I wish I had added a little something extra in my hair for our wedding, and these fit the bill perfectly. As a gal who loves anything sparkly, handmade and chic, I could go on and on about these delicate accessories...but I will just let you check out this fab Etsy shop for yourselves! Love that first hairpiece. What a pretty shop! Gorgeous!! I love what hairpieces add to the overall look of a bride. And I think it looks so pretty when brides have loose, feminine hair like this, too. Etsy definitely is a great resource to find the nicest things- and things that are made with a personal touch. Wow!!! I will marry on may, so you show me a fabulous idea!!! The second item is perfect to me!!! Really romantic and sweet! p.s. I've been meaning to stop by and tell you...THANKS SO MUCH for your review on Morrocan oil. With your words in mind, my mom and I picked some up and I loooooooove. It's not everyday you spend your money on something and feel you get every penny's worth! You're the best, Kirsten!